ISOLTECH'S TURNKEY OFFER: A PERFECT CONNECTION BETWEEN PLANT, TECHNOLOGY AND KNOW-HOW. 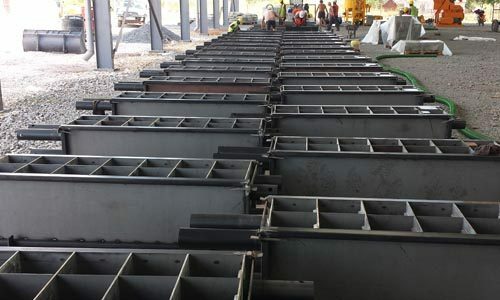 Isoltech supplies turnkey plants for the production of cellular concrete blocks. Present for over 10 years on the international market in the supply of plants for cellular concrete blocks, we can boast numerous installations all over the world and a constant recognition of professionalism from our customers. 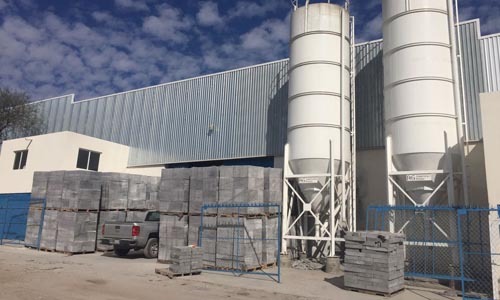 By combining decades of experience with the needs of the market, we have started designing specific, turnkey systems that enable the production of high quality, non-autoclaved cellular concrete blocks. The turnkey offer of a plant dedicated to the production of blocks of cellular concrete involves a series of activities and actions, through which a professionalism is transferred to the client that allows him to emerge within his own market, guaranteeing him the opportunity to offer quality and innovative products. TRAINING AND ASSISTANCE TRANSFORM THE CUSTOMER TO A SATISFIED PARTNER. Isoltech’s philosophy is to never leave you alone. From the design stage, we take the client by the hand, with the aim of pursuing his business and adopting communication and marketing strategies to achieve it. What we like to emphasize is that Isoltech not only sells machines and additives, but also offers a complete technology, with the ultimate aim of transferring experience and know-how to the production of cellular concrete blocks to the customer. 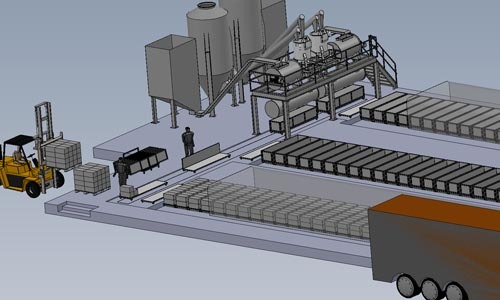 Following the conclusion of the commercial negotiation, the Isoltech engineers, in parallel to the realization of the ordered system, ask the customer to receive small quantities of raw material, such as sand and cement, in order to carry out the first laboratory analysis to identify the best formula that will then be optimized during system start-up. Isoltech, as a partner specialized in cellular concrete technology , will guide the customer through all phases of design and use of the acquired system. Isoltech technologies allow customers to stand out in their market, offering specific and innovative products to end consumers. Initially investing in a manual plant for the production of cellular cement blocks, it is possible, in a second moment, to upgrade the plant to transform it into semi-automatic rather than automatic. With a minimum additional investment, the production of blocks can be increased according to the needs of its internal market.